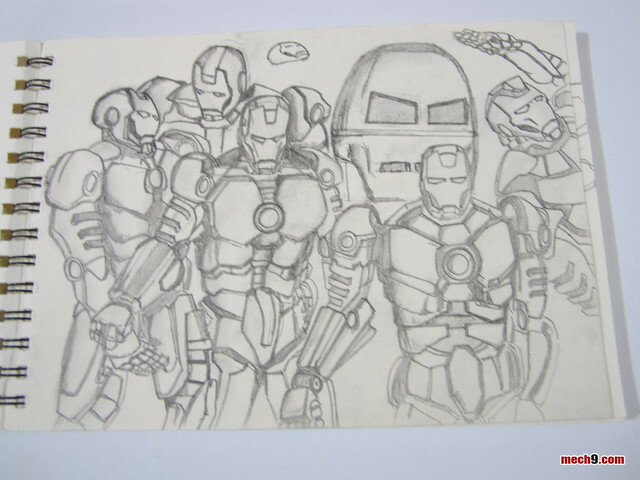 One of the things I loved doing when I was young was drawing. My mother even sent me and my cousin to a few art classes during the summer vacation. At that time I don't think I learned much. All we ever did was try to copy something off a magazine picture. The only thing I remember of value during those classes was the lesson on the propotions of the different parts of the human body. Wherein the parts of the human body have specific dimensions to them related to the other parts. After that it was just hours and hours of mashing charcoal pencils against pieces of paper. Looking back now I realized that to become a good pencil artist, one must spend countless hours sketching and sketching till he/she develops the muscle memory in ones hands to finely draw. It ties in with the 10,000 hour rule that Malcolm Gladwell mentioned in his book Outliers. Where in great people are great because they invest at least 10,000 hours in perfecting their craft, be it intentionally (by practising) or unintentionally (by starting young). But that doesn't mean that you just blindly practise and practise, lobbing 10,000 basketballs blindly won't improve your chances of it going in the ring. It has to be practising with a purpose of improving ones skill and learning along the way. Stuff I loved to draw were of course comic book heroes. 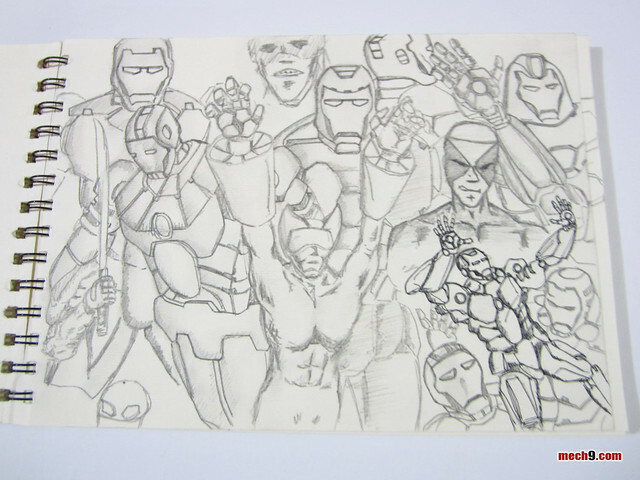 But these were comic book heroes I created by myself. Looking back now I realized I should have spent time copying scenes from real comic books in order to hone further my skill. Who knows? If I had invested 10,000 hours at that time I could have had a shot at becoming a comic book artist. Last year, my wife passed by my mother's house to pick up the last of my stuff from that house. One of the things I found in those boxes was my old sketchpad. Seeing those old pictures kindled once again my love for drawing comic book characters. It was a passion really that I never got to work on because I realized that you could never earn a living being a comic book artist in the country I was in. Also that the general society wouldn't respect your work, only a special subset would hold you as a hero. Back then it was a hard brickwall that you had to come to face with. That line of thinking is dead already because all that changed with the internet. No more brickwalls to stop you because the information is already there online that you can use to learn to draw like the pros. And there are a lot more industries out there other than than the comic book industry that could use a good artist, like the billion dollar movie, television and video game industry perhaps? Not that I'm saying that I want to be a comic book artist, that ship has sailed already for me, but to the young people out there, that boat is still waiting for you. With nostalgia kicking in after seeing my old sketches, I decided to buy a new sketchpad last year. It was only this year that I got around to drawing on it after being blessed with an hour long black out with nothing to do. As a subject matter I used Ironman. 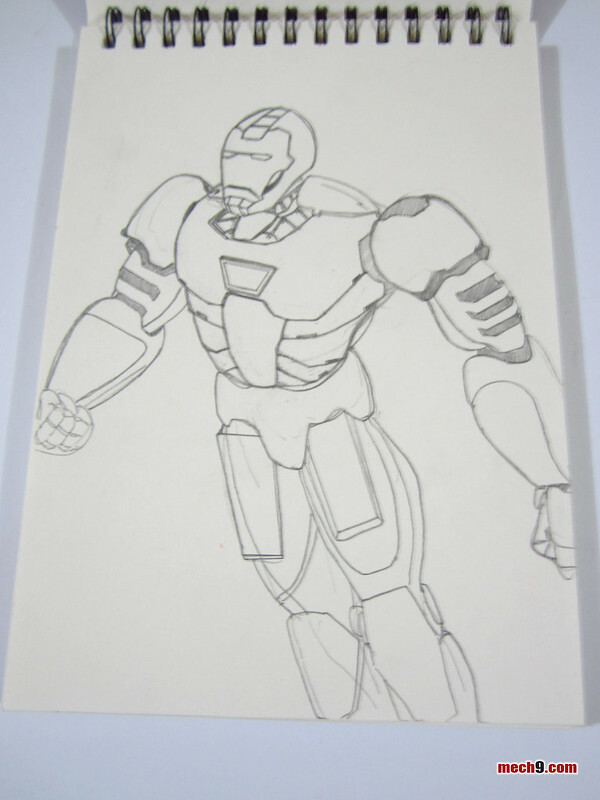 Not specifically Iron man but my own interpretation of the design of his armor. My initial drawings were really ugly, old fingers who have lost their memory needed to be refreshed. A couple of weeks later (and a couple of more black outs) I think that I was starting to get the hang of it. My drawings may never be of professional quality, but I'll never stop despite that, because its something that I love doing and it makes me happy.